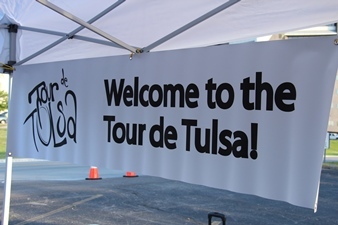 Tour de Tulsa, annually the first Saturday in May! Interested in being a TdT sponsor? 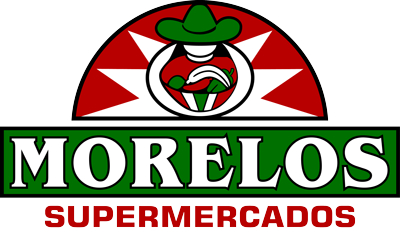 Click here for sponsorship packet! Online registration will remain open until May 1st, however, those registering after Wednesday, April 17th, will not receive the ride's commemorative t-shirt! Watch the trailer below for the 2019 event ... enjoy! Then scroll down for all the details. NOTE: Those registering after Wednesday, April 17, will not receive a ride t-shirt. 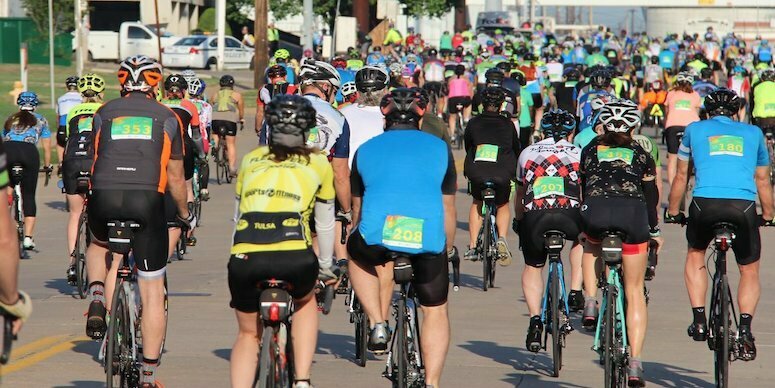 Register NOW for Tour de Tulsa 2019! OSU Center for Health Sciences. Tour de Tulsa has been a spring cycling ritual for Tulsa-area cyclists for more than 30 years. 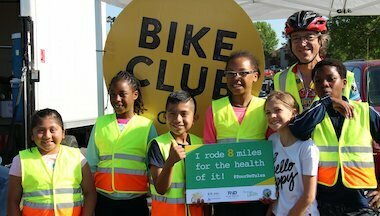 The charity bike ride is hosted by the Tulsa Bicycle Club and the Tulsa Health Department. 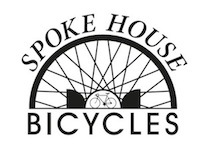 Participating cyclists have the opportunity to meet other cyclists, get some miles under their belt and maybe ride their first century of the season. 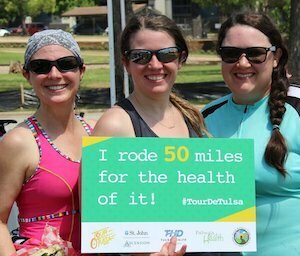 Tour de Tulsa offers routes ranging from 20 to 100 miles, as well as a family fun ride of about 8 miles; mileages may vary slightly due to any last minute route changes that may be required from year to year. Route maps, cue sheets and digital files will, however, reflect the actual route on ride day. 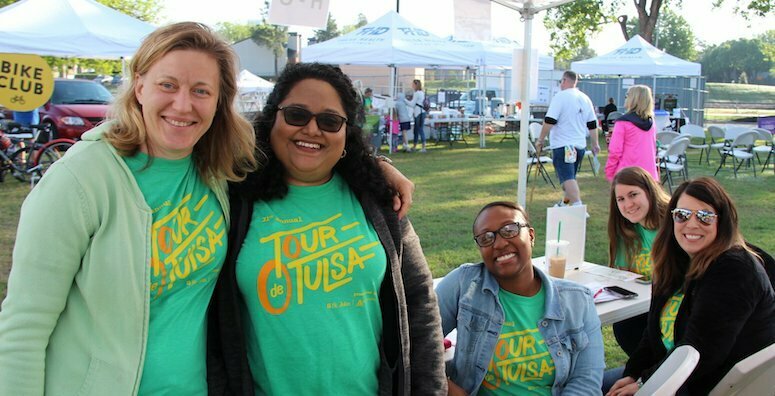 Proceeds from the Tour de Tulsa benefit Pathways to Health, which unites over 90 local agencies, organizations, corporations and health systems to improve health outcomes in Tulsa County. Join us for Tulsa's premier spring community ride featuring good food, great rest stops, and friendly riders all along the way. We'll see you there! 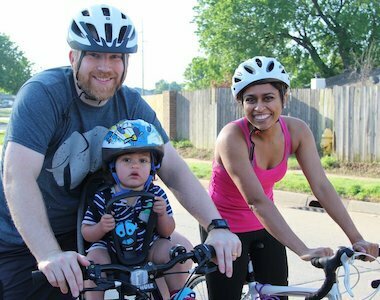 Family Fun Ride participants must be able to ride a bicycle without training wheels and be accompanied by an adult. Trailers and Trail-A-Bikes are permitted as are child seats mounted on an adult bike. Children in trailers, on trail-a-bikes or in child seats must wear a helmet. Where - All 2019 routes will start and end at the OSU Center for the Health Sciences, 17th & Southwest Blvd on the west bank of the Arkansas River. 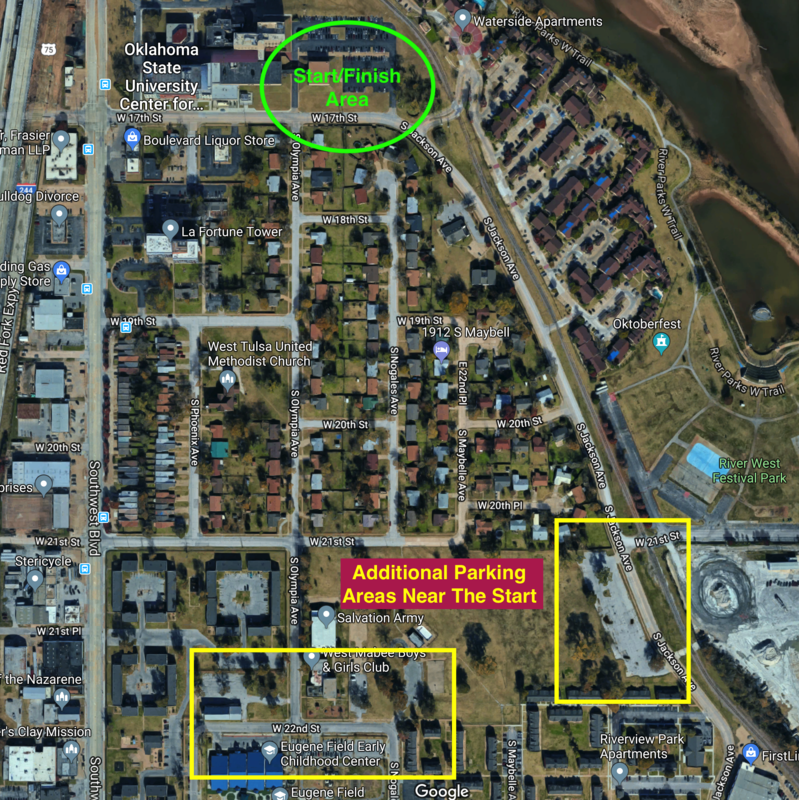 There is limited parking at the start area, but participants are encouraged to use parking west of the River West Festival Park off Jackson and along Riverside Drive on the east bank of the Arkansas River. See start/finish area map below. *Online registration ends at midnight Wed, May 1st, 2019. NOTE: Those registering after April 17th WILL NOT receive the ride t-shirt. $35 for TBC members age 13 and over Only if registered online by May 1st. Not a member? Join Now! ... Family membership only $20/year! Young Riders must be accompanied by an adult who is also on a bike and riding with them. 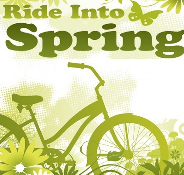 Riders may register and/or pick up packets from 3pm to 6:30pm, Thursday, May 2nd, 2019, at Tom's on Route 66 located at 2648 E 11 St, or after 7am on ride day at OSU Center for Health Sciences, 17th & SW Blvd. 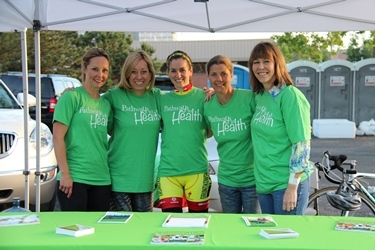 Riders can register in person on ride day at 7:00am at OSU Center for Health Sciences, 17th & SW Blvd. Ride-day registration is $50 for ALL riders age 13 and up for all distances except the 8-mile Family Fun Ride. Ride-day registration remains $15 for riders 12 and under and Family Fun Ride participants. Helmets are MANDATORY for all ride participants. Riders without helmets will receive no support and will not be considered to be ride participants. Tour de Tulsa is a charity fundraising event. If the ride is cancelled due to severe weather, there will be NO REFUNDS. Online registration closes at midnight Wednesday, May 1st, 2019. Ride-day registration is $50 for riders 13 and over riding any route other than the Family Fun Ride. Cash, check or credit card accepted on ride day. 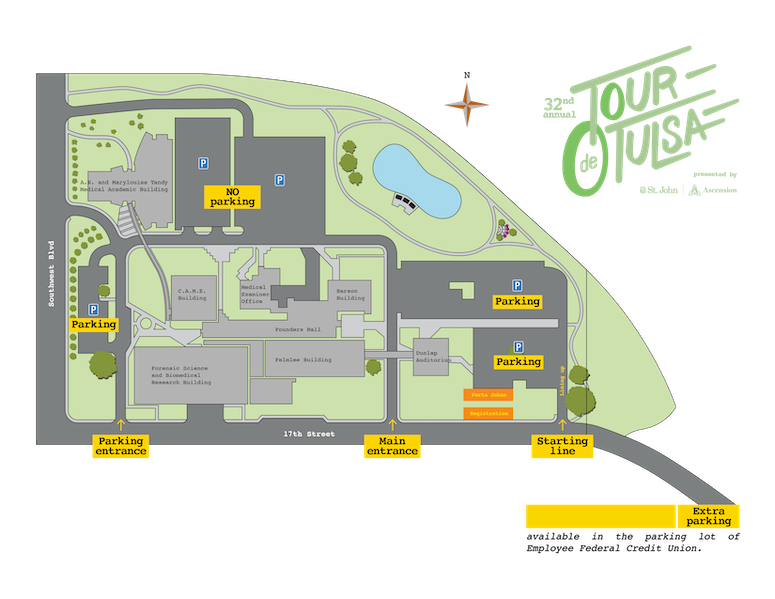 2019 Route Maps ... available below! Start/Finish Area and Nearby Parking! Additional Parking is available at locations shown below as well as along Riverside Drive on the east side of the Arkansas River. Benefitting the Health of Our Community! Pathways to Health was formed in 2008 in response to a challenge to decrease the overlap of health services and identify gaps where health leaders are missing vulnerable populations. The goal of Pathways to Health is to connect community health resources to those who need it most. 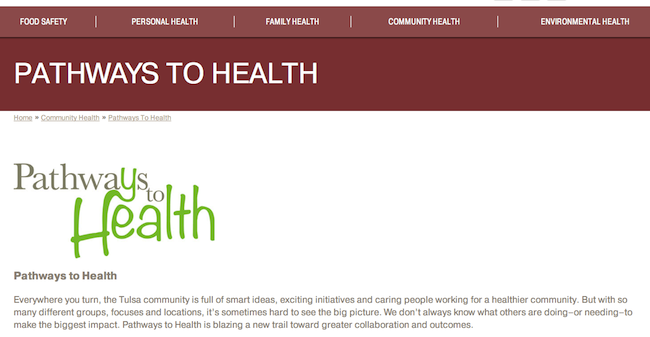 Pathways to Health brings together local community health stakeholders to share ideas, increase synergies, and complement each other's strengths. We believe through partnership anything is possible. Click here to learn how the proceeds from the 2016 Tour de Tulsa presented by St. John Health System benefited our community. Interested in becoming a sponsor of the Tour de Tulsa presented by St. John Health System | Ascension?